Just like any casino game where players have to put their hard earned money on the line to play real money online craps, people are constantly dreaming up strategies for craps. Some of these make sense and others are complete nonsense. Before we can distinguish between the two, though, we need to remember that craps is a game of chance and there are no sure ways of how to win on craps. It was designed so that the casinos could statistically have an advantage over players in every situation. Because of this, there isn’t actually any way to get an edge over the house without cheating. The best you can hope to do is play with solid fundamentals and keep the house’s edge as small as possible. Even though we know that the casino will always have us beat (at least slightly) on a mathematical level, craps “experts” still claim to have secret betting systems that can turn the tables and give you an edge. Before you send your money to any of these people, remind yourself that there is no way they have any true winning strategy, all you can do is to follow our online craps tips and strategies to get the best odds.. There are also many free online craps systems on the Internet including the Martingale System, The Paroli System, and The Iron Cross. These too have no merit. Every craps system essentially requires you to adjust the sizes of your bets, use a special mix of wagers, or some combination of both of these. When you boil betting systems down to this level, it becomes clear that you are simply making a variety of craps bets, all of which are in the house’s favor. The only way you can even give yourself a fighting chance is to stick with the best craps bets and avoid the worst. 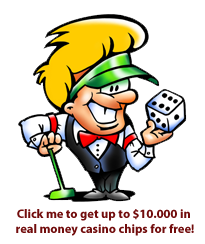 There are about a dozen distinct kinds of craps bets and each one gives the house a statistical edge. Among all of the craps bets, house edges vary wildly from 0.01% for line bets with odds reaching all the way up to 16.67% for proposition wagers. Players continue to bet their money on risky proposition bets because their high payouts are more exciting, but smart players stick with the line bets and come bets (1.4% – 1.41% edge). If possible, you should always take maximum odds on your line bets as this further lowers your house edge. One roll bets and Hard Way wagers might be great craps bets for entertaining a crowd but they also have the highest house edges. Among the intermediate craps bets, place bets (and place bets to lose) on six and eight are very reasonable, as are lay bets on four and ten. Other than that, forget about the other craps bets. They have high house edges without the “cool factor” to make up for it. We have an article about how to avoid the sucker bets at craps for further reading on this subject. After committing to playing with the smartest craps bets, it’s time to get your money management strategy in order. The first step is the easiest. You just need to give yourself a budget. Decide what you are willing to risk before each craps session (no more than you can afford to lose) and then write that number down. No matter what happens, you must stay within this budget. Although the main purpose of setting this limit is to prevent huge losses, it also gives you a baseline from which you can determine your bet sizes. Although nobody can tell you exactly how large you wagers should be compared to your total bankroll, try to use some common sense to avoid running out of money before you are ready to finish your session. One classic money management craps strategy calls for you to take advantage of your hot streaks. Basically, this theory says you should pull your starting bankroll off of the table if your winnings are large enough to play with. For example, imagine that you started a craps session with $100 and ended up winning $80 so that your total chip stack was worth $180. This strategy would tell you to get $100 off of the table and start from scratch with the remaining $80. If you can pull it off, this craps strategy guarantees that you won’t walk away from the table with less than you started with. In the same vein, you can pocket some of your winnings as well to protect them from the house. To wrap it up, here are a few things and winning tips in craps to keep in mind about being a successful craps player. First of all, there are some smart bets and some dumb ones: choose accordingly. Steer clear of all craps systems and focus on your money management strategy. You should always set a budget and, to avoid really messy situations, never bring more chips to the table than you are willing to lose. Finally, and most importantly, you should be having fun when you’re at the craps table. Win or lose, make a point of enjoying every craps session you have.